Personal | Coming Out of Hibernation! Anyway Easter wouldn't be Easter without a few homemade treats and I wouldn't be a very good blogger (hah!) if I didn't share them with you. 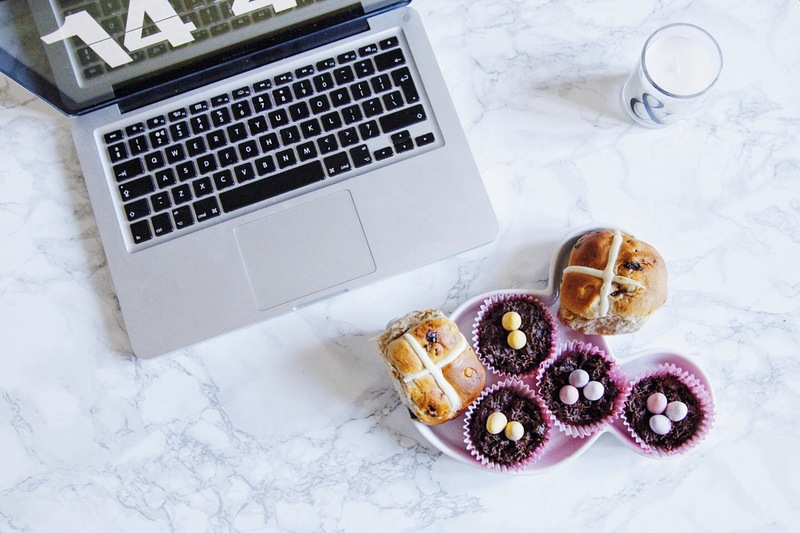 It took me awhile to decide what to make as I made a batch of mini egg brownies early in the week and Harry and I ate the whole lot between us so we're supposed to be on a bit of a ban meaning the huge bunny shaped cake I wanted to make was out of the question. 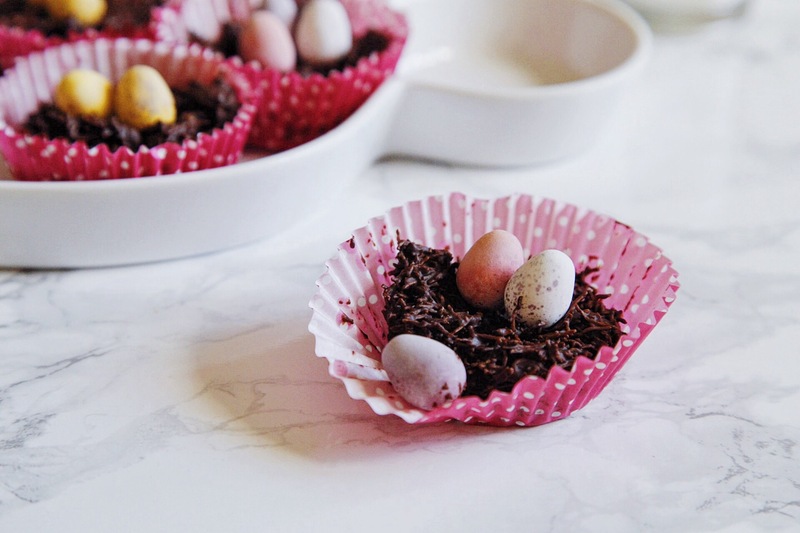 Between the PMS and the cramps I was feeling a bit sluggish but having seen Zoella make the cutest and easiest Easter goodies (and talking myself out of making all of them) I finally settled on an oldie but a goodie - chocolate mini egg nests. It took next to no time as they are literally the easiest form of cake you can make. Top tip: add a couple of spoons of peanut butter to make a sort of fererro rocher/reese's peanut buttercup hybrid, you're welcome. We made 14 of these babies but by the time I came to take photos there were only four left, no idea what happened to the rest...(just kidding we ate them for breakfast!) I had to invite Mum over for lunch just to stop us munching through the entire batch. Anyway the Easter weekend was exactly what I needed. We went to IKEA and bought pieces of furniture and resisted the urge to spend £19 on a single set of rose gold cutlery. Then we went to B&Q and the dump because what else do you do on a bank holiday? I took at least four sets of photos for upcoming blog posts and filmed two YouTube videos for our secret new channel (stay tuned if you're a Disney fan!). I've also existed on not much other than coffee, easter chocolate and hot cross buns (not a diet I'd recommend in case you were wondering). Anyway I'm rambling which that kind of thing tends to happen when you've not written anything for three months but I've got lots planned and I'm almost 70% sure that I'll actually stay on track so yeah, maybe you'll see me on the ol' Twitter and Instagram sometime soon? Here's hoping!